Background: Pupillometry is the study of how our eyes react to light. When it gets dark, our pupils expand; when exposed to light, they contract. Aberrations in the size of our pupils and the speed at which they react to light may reveal underlying neurological conditions. 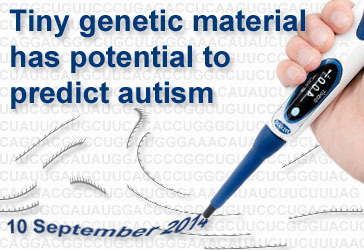 However, pupillometry has not been extensively studied in people with Autism Spectrum Disorder (ASD). What’s New: A new study investigated whether a relationship existed between pupils’ responses to light and autism risk in very young children. The researchers classified 208 infants between the ages of 9 and 10 months as either high risk (having an older sibling with ASD) or low risk (having no older sibling with ASD). They recorded sensory responses using cutting-edge eye-tracking technology while shining a light 16 times towards the infants’ eyes. They followed up at 36 months of age, classifying the children into ASD and non-ASD groups based on their scores on standard screening and diagnostic tools. Children who were ultimately classified into the ASD group experienced greater constriction of the pupils in response to light as infants. 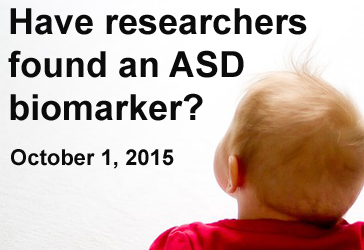 This finding was especially pronounced in high-risk infants who developed ASD later on. 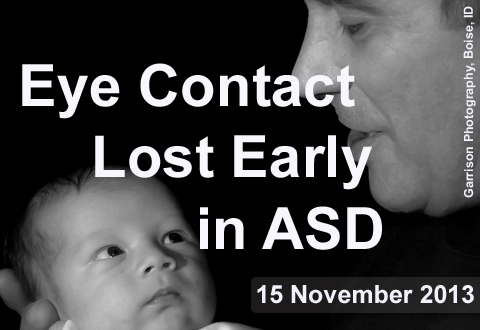 Constriction of the infants’ pupils was also a predictor for ASD symptom severity. Those who experienced the greatest constriction tended to have the most severe symptoms. Children who were classified as high risk but not diagnosed with ASD experienced different clinical outcomes than their low-risk peers, including cognitive and motor delays, attention deficits, and hyperactivity. Why it’s important: This study highlights an autism marker – in both individuals and in families – based on sensory processing and related to the responsiveness of pupils to light in infancy. 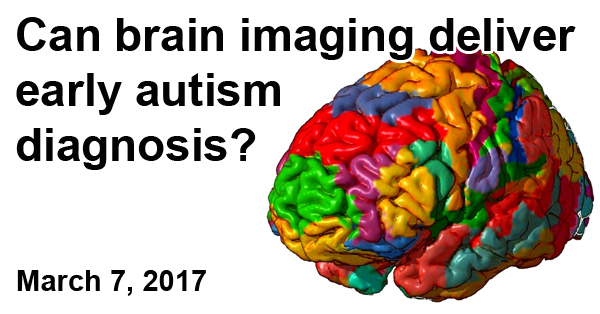 This finding could shed light on the underlying neurological basis for ASD and may eventually inform treatment approaches. 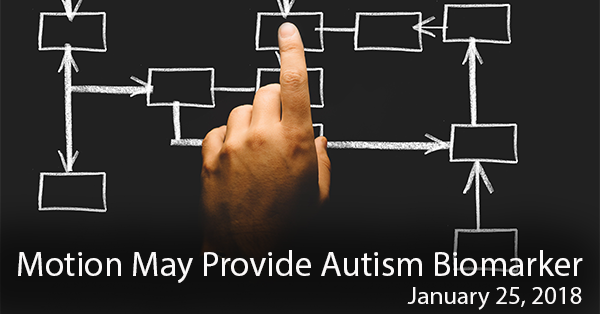 Background: Given the increasing prevalence of Autism Spectrum Disorder, or ASD, families seek early and reliable diagnosis to plan for appropriate interventions, leading to better outcomes. However, the established screening procedures are based on observation of children’s behavioral features by clinicians, so screening and diagnosis typically don’t take place until well after infancy. 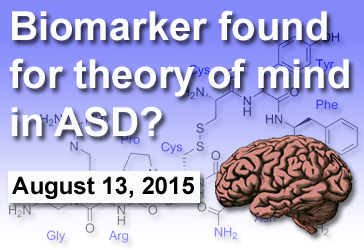 What’s New: A recent study identified a biomarker that could potentially detect ASD based on movement. Wearing electromagnetic sensors on their hands, 71 individuals were instructed to point at a target on a screen repeatedly. The researchers recorded physiological information about the movements of the participants – whose ages ranged from 3 to 31, and 30 of whom had an ASD diagnosis – detecting differences that were imperceptible to the naked eye. 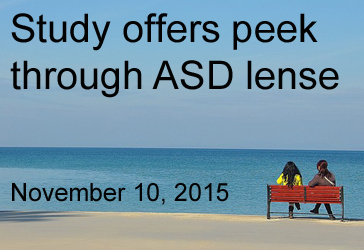 • The lower a participant’s score, the more likely he or she was to have an ASD diagnosis. 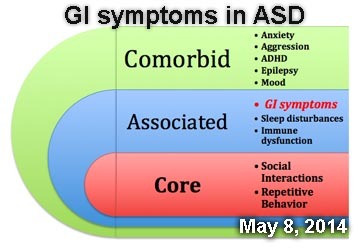 • Lower scores also corresponded to more severe cases of ASD. • Moreover, 17 out of 20 parents of children with ASD undergoing the same test (who did not have ASD diagnoses themselves) showed movement patterns that differed from typical adults but were reminiscent of their children. Why it’s important: This study suggests that extremely subtle differences in movement detected by quantitative measures can serve as potential evidence of ASD, and that there is a likely genetic component to the neurological features underlying these differences. Future research could shed light on the link between genes, neurons, and differences in movement – and could possibly point towards new avenues for early diagnosis. 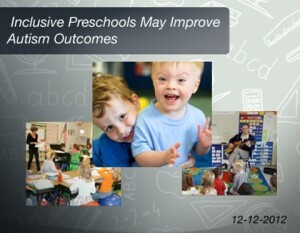 Background: Early intervention in children with autism spectrum disorder (ASD) is known to improve behavioral outcomes. Biomarkers – such as proteins in the blood or patterns of activity in the brain – may help identify children with the disorder earlier in infancy, allowing for earlier intervention. 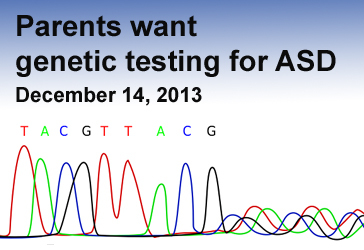 Currently, physicians do not have reliable biomarkers to use in the clinic to predict the onset of ASD in children. 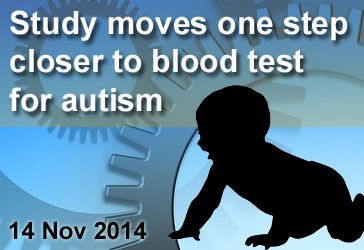 What’s New: On January 14, 2016, the journal Scientific Reports published a study that detailed a possible biomarker in the blood of children with ASD. The researchers compared the blood serum from 74 boys between 2 and 10 years old with ASD, 60 of their typically developing peers, and 53 adult males between 40 and 75 years old. 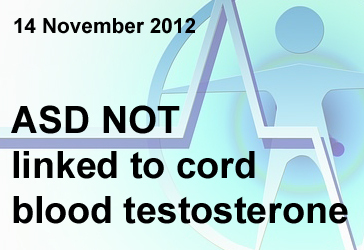 Using a large collection of synthetic chemical chains made in the laboratory, they found that one chain in particular, called ASD1, bound to a serum antibody with far greater frequency in typically developing boys than in those with ASD. 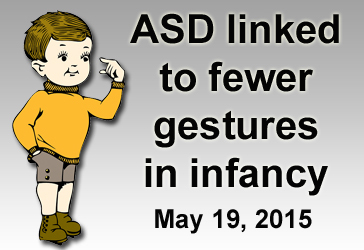 Interestingly, the results with the ASD children resembled those of the older male group. This difference in activity allowed the researchers to identify ASD cases with 66 percent accuracy. Why it’s important: This study builds on previous research that suggests that the immune system is different in people with ASD. 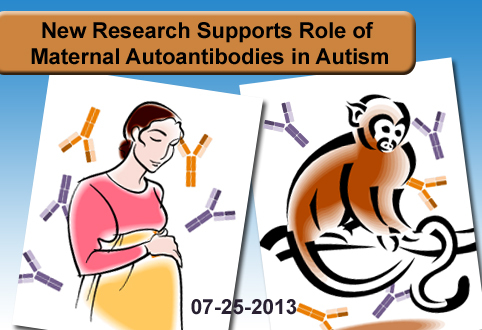 Immune activity in children with ASD may resemble that of older individuals. 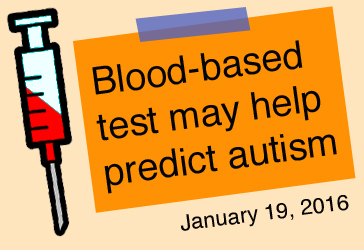 According to the authors, measurements with ASD1, in combination with other blood-based measurements (such as hormone levels), could lead to a blood test for ASD with higher predictive accuracy for clinical use. Background: Individualized management is an important goal for those with Autism Spectrum Disorder (ASD). While we don’t yet have standardized ASD subgroups, several lines of evidence suggest that inflammatory molecules may serve to distinguish some ASD populations. What’s new: On September 29, 2015, the journal Translational Psychiatry published a study on the effect of luteolin supplementation on children with ASD. The antioxidant luteolin is a powerful anti-inflammatory agent naturally found in some foods, including celery, broccoli, and navel oranges. The researchers found that a subgroup of children with ASD had high blood levels of inflammatory molecules—known as IL-6 and TNF—which decreased significantly after luteolin treatment. The children with the greatest decrease in IL-6 and TNF showed the most improvement in communication, daily living skills, and social behaviors. Why it’s important: This study combines two important topics in autism research: subgroup identification and individualized treatment. 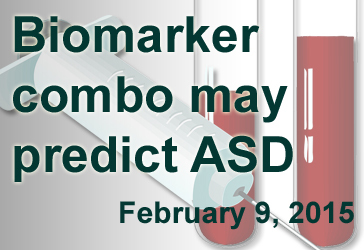 An inflammation-based biomarker in individuals with ASD could help predict prognosis following anti-inflammatory treatments. 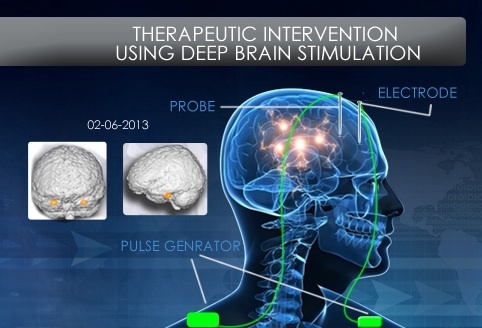 The results of this study support the need for a larger, double blind, randomized, placebo-controlled trial. Background: Sensory-motor coordination involves integration between the parts of the brain that receive and interpret stimuli and those that facilitate action in response. For example, upon touching a hot surface, people immediately remove their hands. 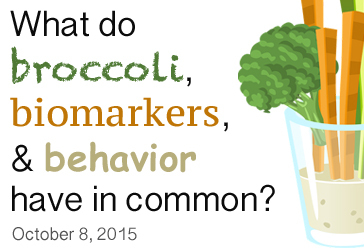 Studies have suggested that sensory-motor coordination is atypical in people with autism spectrum disorder (ASD). What’s New: On July 2, 2015, the journal Current Biology published a study exploring the response to odors in children with and without ASD. The researchers used a device to measure the time to sniff and duration of sniff for 36 children between the ages of 4 and 11 who were presented with pleasant and foul odors. They found that the 18 typically developing children followed the same sniffing patterns seen in adults; they would sniff pleasant odors for longer periods of time, but respond with brief sniffs when presented with foul odors. 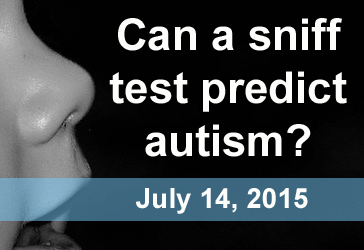 The 18 children with ASD, however, sniffed both pleasant and foul odors for the same amount of time. 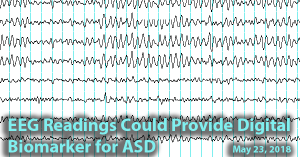 Using the device, the researchers were able to predict 81 percent of ASD cases. 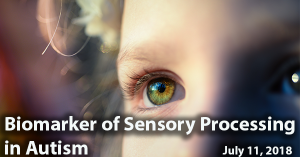 Why it’s important: This study suggests that the olfactory response is different in children with ASD, with more pronounced differences in children with higher degrees of social impairment. Future research could determine whether the researchers’ method, which requires no verbal response, could be used to help diagnose the disorder in very young children to allow for early intervention. Background: One of the trademark symptoms of Autism Spectrum Disorder (ASD) is impaired communication, which is accompanied by difficulty with social interaction and restrictive, repetitive behaviors. 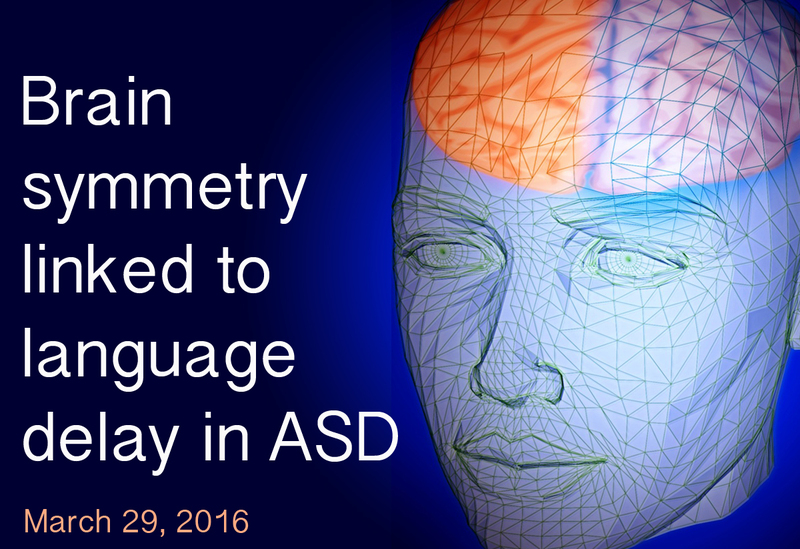 Although ASD is typically not diagnosed until later in childhood, language delay can present itself as early as the first year of life. What’s New: The January 2015 issue of the Journal of Autism and Developmental Disorders included a study examining the relationship between language production and the gesture use by infants and their caretakers earlier in life. The researchers performed observational screenings on a total of 75 infants—48 who had a sibling with ASD and 27 who did not. During observation, the researchers evaluated maternal and infant gestures at 12 months of age and the children’s subsequent language production at 18 months of age. 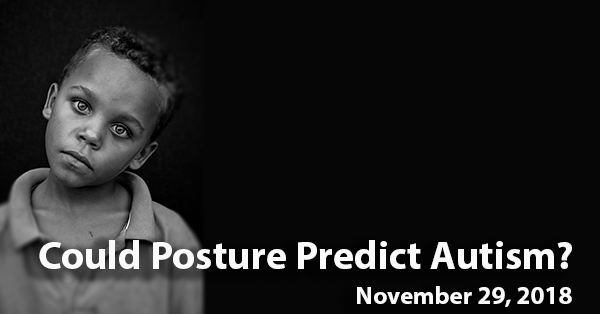 The research team found that the infants who later fit the ASD profile produced the fewest gestures, and that the use of gestures by mothers only affected the language production of the infants who did not fit the ASD profile. 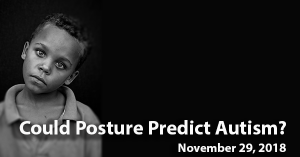 They also observed that mothers of the infants deemed high-risk for ASD by virtue of having a sibling with the disorder tended to produce more gestures, such as pointing and nodding when interacting with their children. 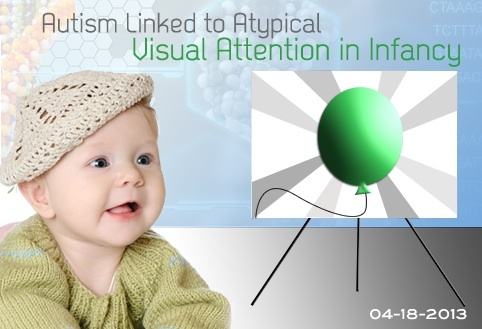 Why it’s important: This study reinforces other research suggesting a delay in gesture production in infants who would ultimately receive an ASD diagnosis. 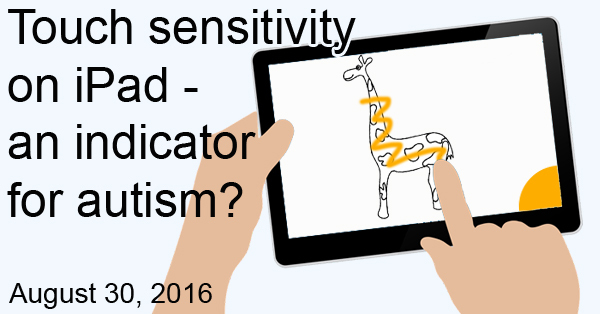 Future research could illuminate intervention strategies based on interactive gesturing by caretakers.